Batman sends Deathstroke into the heavily fortified STAR Labs, to retrieve a Mother Box. 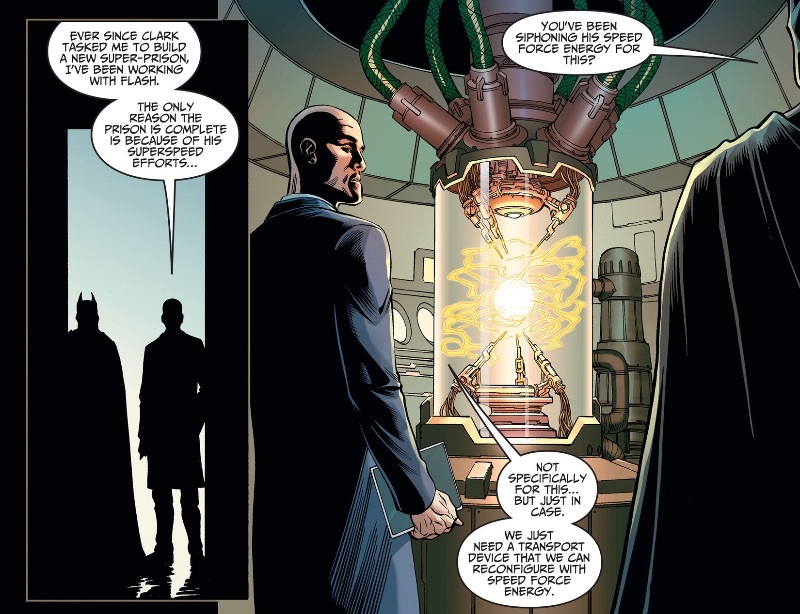 Lex Luthor has access to every member of the Justice League, and if he can siphon off the Flash's speed, surely he can obtain something much more simple, like DNA. Then there's Deathstroke. 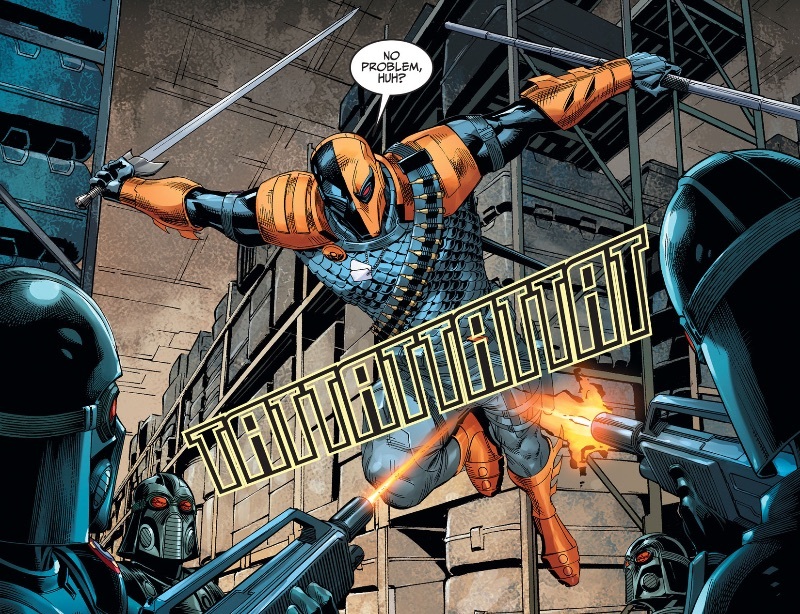 What part of being an assassin for hire has Deathstroke forgot? What has Batman offered him that would truly make him risk going against the Regime? 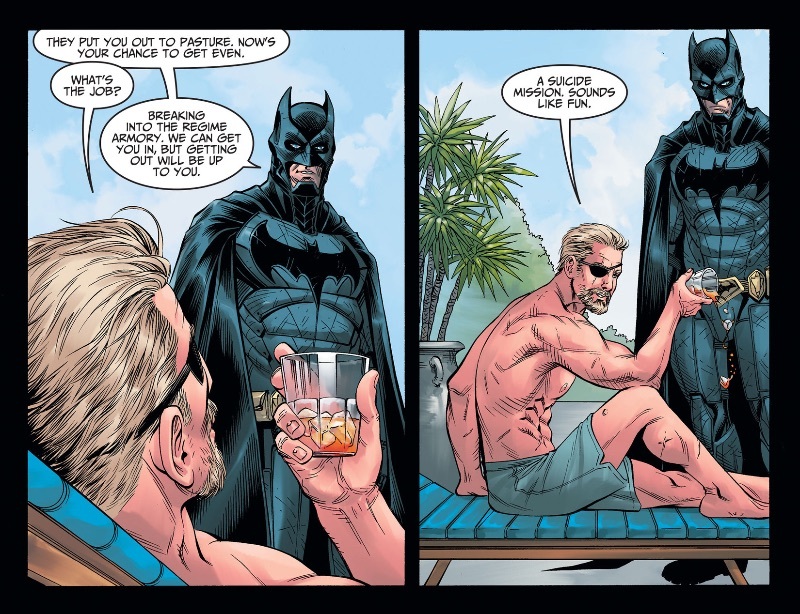 For all his internal monologue of declaring Regime Superman a "fool", Deathstroke is not only working for free, but he's turning down the biggest payday ever in not turning Batman over to the League. It's a remarkably short-sighted piece of writing, which follows Buccellato's flacid handle on from start to finish. Even the set-up is just indolent. We're told that the armoury he has to infiltrate is highly guarded, yet all we're shown is Deathstroke moving through the place, as if it were a public park. It's just lazy and needless; if you're not going to show the action, don't posit the set-up. Problem solved. 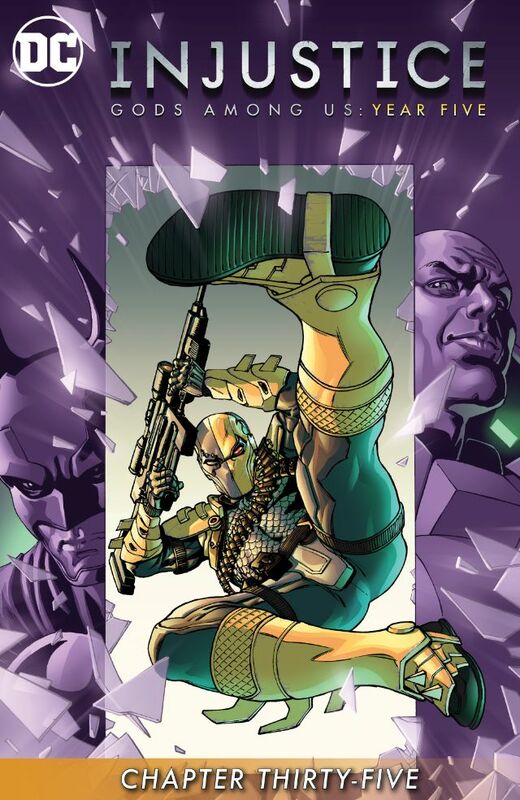 Art - 3: There are some cool splashes of Deathstroke, but this one is a crime. Deathstroke is being fired on, and yet we see no sign of gunfire? Again, if you don't want to do the work, kill the lettering and SFX. Problem solved.